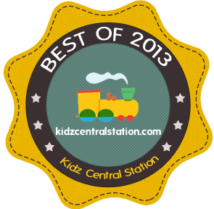 Kidz Central Station – Best of 2013 Winner! 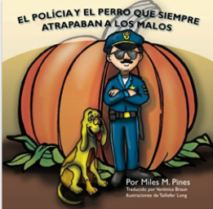 El Policía y el Perro que Siempre Atrapaban a los Malos: The Policeman and the dog Who Always Caught the Bad Guys (Spanish Edition) by Miles M. Pines, translation by Verónica Braun. In this collaborative project, both Miles and Verónica shared precious moments of great fun and laughter! Young ¡HOLA! student Miles Pines’ first book includes a tale of great imagination through vivid “fruit characters”, great teamwork, heroism, good vs. evil, friendship and loyalty, and ahhh… eating pies! Miles participated in ¡HOLA!’s Spanish play groups for Two’s- Four’s and then moved on to private classes for quite some years! ¡Hola! A Playgroup in Spanish was rated among 5 of the best classes in town by Kidz Central Station! Check out the list attached by clicking on this link to view the blog post. 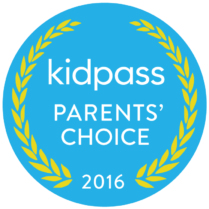 We are proud to announce that we have been chosen as a Kidpass Parent’s Choice winner in the Language category in NYC. 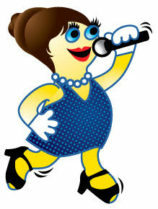 Thank you so much for your support and please check out our page at Kidpass!